The ostrich will incubate its eggs for 35 to 45 days. The ostrich is one of the most versatile birds on the planet today. 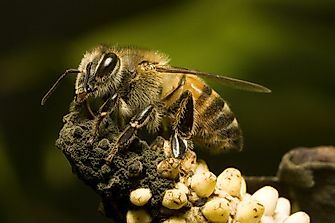 Though it cannot fly, this is compensated by its speed on the ground as it either pursues intruders from its nest or flees from predators. Visitors worldwide flock to ostrich sanctuaries to admire its elegant beauty and enjoy a meal of ostrich eggs or buy merchandise made out of ostrich skin or feathers. The ostrich is also subject to the myth that this bird buries its head in the sand when it senses danger. Among earth's extant bird species, the ostrich lays the largest egg. 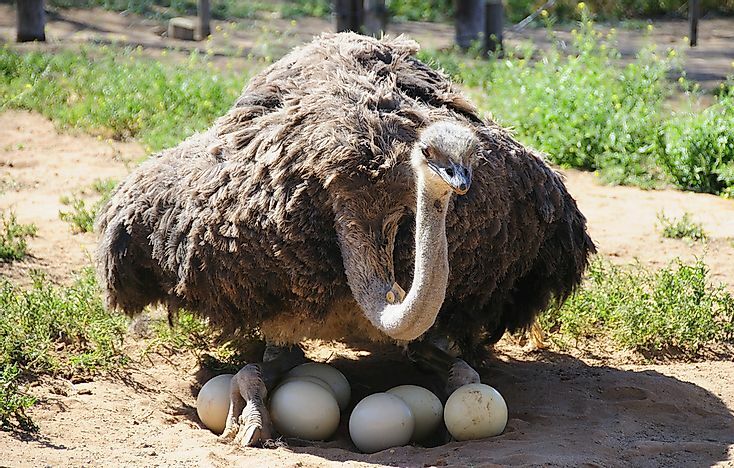 Ostrich eggs weigh 1.4 kilograms and are 13 centimeters wide and 15 centimeters long. The Ostrich belongs to the genus Struthioniformes which also includes the kiwi, emu, and moa among others. The eogruids, which are flightless birds, had coexisted with the ostrich species until stiff competition may have caused the extinction of the eogruids. Fossil extracts have shown that ostrich-like birds may have originated from Europe. These are Palaeotis and Remiornis. Sub species of the ostrich are found in various parts of the world, the red-necked ostrich is found in North Africa, the South African Ostrich in Southern Africa, the Masai ostrich in East Africa. The Arabian Ostrich in the Arabian Peninsula is now extinct. The common features of an ostrich is the long neck and the large eyes plus the featherless legs that are long and deadly. The male ostrich can weigh up to 115 kilograms while the female ostrich 100 kilograms. There is also a difference in the height, 2.1 to 2.9 meters for male ostrich and 1.7 to 2.0 meters for the female ostrich. Red or gray skin is present in some subspecies of the ostrich. The legs of an ostrich have two toes which help it run at faster speeds. Ostrich feathers are soft and only offers insulation while its sternum is flat. Unlike other birds, the ostrich has three stomachs, and a separate waste disposal mechanism as urine and solid waste is expelled separate while the male ostrich has a reproductive organ that is retractable. Ostrich tend to avoid contact with predators by using its excellent eyesight to spot them and use its long legs to flee. Ostrich legs are deadly weapons when the bird is cornered as it can kill with one forward swing at an intruder. Ostrich feeds on grass, shrubs, seeds, flowers, and locusts. Since the ostrich can adapt, thanks to its versatile physiological features, to dry regions, it can go without water for some days. The ostrich usually travels along with other grazing animals in pairs. The female ostrich becomes sexually mature at an early stage than the male ostrich. However the ostrich takes 2-4 years to attain sexual maturity. Male ostrich will fight for mating rights and the victor mates in privacy after courting it. The ostrich will then lay eggs and proceed to incubate them for 35 to 45 days under constant protection against predators. The ostrich can live up to 45 years.